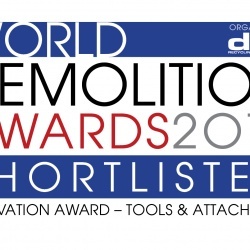 Rotar and Lehnhoff join forces and are shortlisted for the 2016 World Demolition Awards! Companies combine products and expertise to reach full potential. 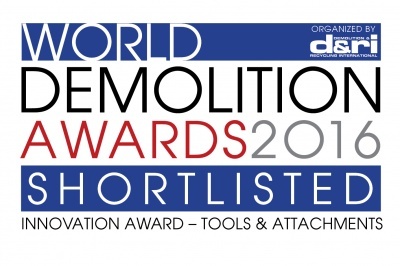 The demolition industry is in a constant process of growth. 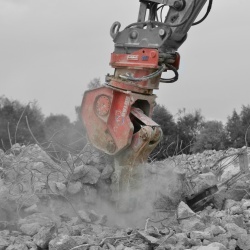 Education, health and safety regulations, the increase of more complex projects and more advanced equipment are daily issues demolition companies work with. Today’s modern fleet of equipment not always hits all benefits of the full hydraulic quick coupler and the attachment. The combinations do not always reach their full potential. 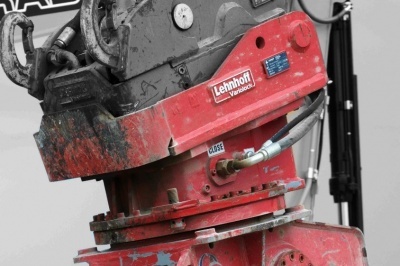 The collaboration between Rotar and Lehnhoff to develop a rotating subhead where the quickcoupler and hydraulic valve block are integrated lets both the attachment and quick coupler reach their full potential. It ensures power, productivity and a more efficient, save and comfortable work environment for the excavator operator. 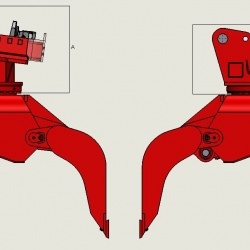 - All hoses and pipes between the attachment and the full hydraulic quickcoupler run inside the subhead and are protected. Hose rupture, oil spills and downtime as a result of the unprotected hoses are things of the past. 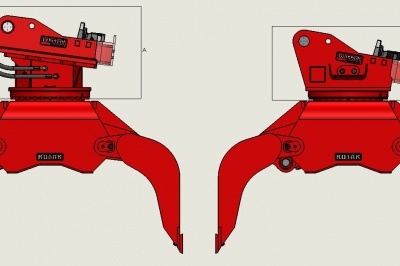 - There is no need for a bolt-on adapter with hydraulic valve block as these are integrated, which leads to total weight reduction and a more beneficial point of gravity of the attachment. 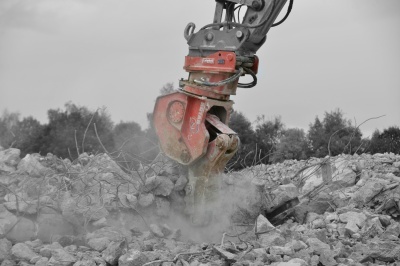 This revolutionary compact construction method enables excavators to carry stronger and heavier attachments. This results in more productivity and project uptime. 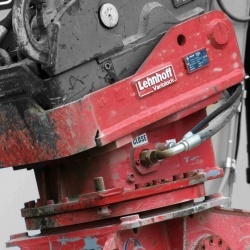 - Rotar and Lehnhoff both focus on an optimal oilflow especially on high oilvolume attachments like shears and pulverizers. In the 100% dedicated attachments, the number of components are reduced and the internal diameter of bores, hoses and pipes are enlarged and in harmony. - The oilflow is optimal, backpressure is reduced to a minimum, fuel consumption of the excavator is reduced and heat build-up is minimized. - The lifespan of components is enlarged which results in less malfunctions and higher operational availability. - No more adapters changing between attachments on the jobsite and unwanted exposure to the dangers a jobsite brings. No more problems with stucked screws or threads and improved uptime. Workers, operators and engineers of the past would be satisfied and amazed to see the today`s possibilities and measures which ensure a safe, money-making, harmonized and purpose-build demolition attachment. We believe the progress of developments of the last decades, with pin-bolted adapters – mechanical quickcouplers where not wrong. Quite the opposite in fact, as they paved the way towards our innovation and provided the opportunity which allowed us to think in a different and even better way. 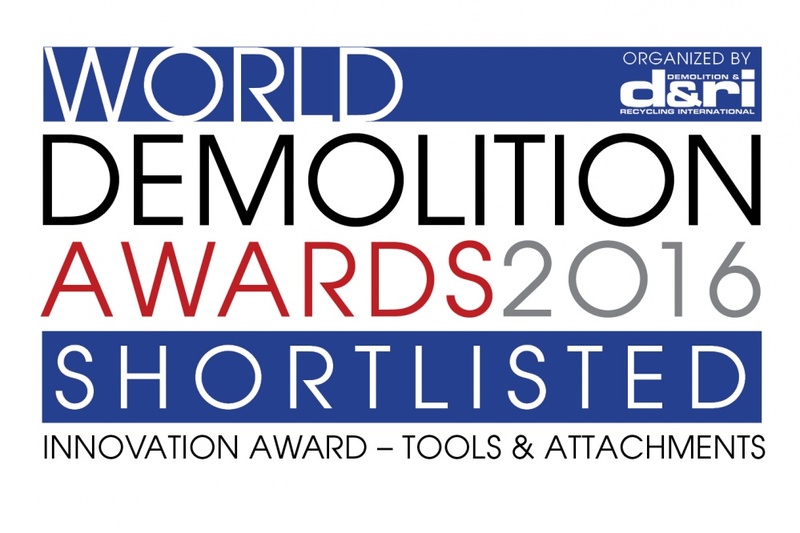 With our innovative approach, Rotar and Lehnhoff are shortlisted for the 2016 World Demolition Awards in the category “Manufacturers’ Innovation Award: Tools & Attachments”.